Roof – Carlson Exteriors Inc.
Love the Wood Look? Hate the Wood Maintenance? You are not alone! Thankfully there are many home exterior products out there to satisfy your desires. Let’s celebrate those products by taking a closer look. If refinishing your garage door every couple of years has kept you from purchasing a wooden garage door, CHI Accents line has come to your rescue. While these overhead garage doors look like real wood (even close up) they are metal doors made to look like wood. No maintenance at all! They over many styles and five different wood colors. Most people know that vinyl shakes come in a variety of colors but few seem to realize that vinyl can mimic natural wood if the homeowner so desires. Vinyl Manufacturers have started to variate colors on a single shake panel to really recreate cedar siding. There are a few hard board sidings out there that do a fantastic job of looking like real wood siding. Some require more maintenance than others. These hard board sidings are LP Smartside, James Hardie Fiber Cement Siding, and Royal Celect Siding. 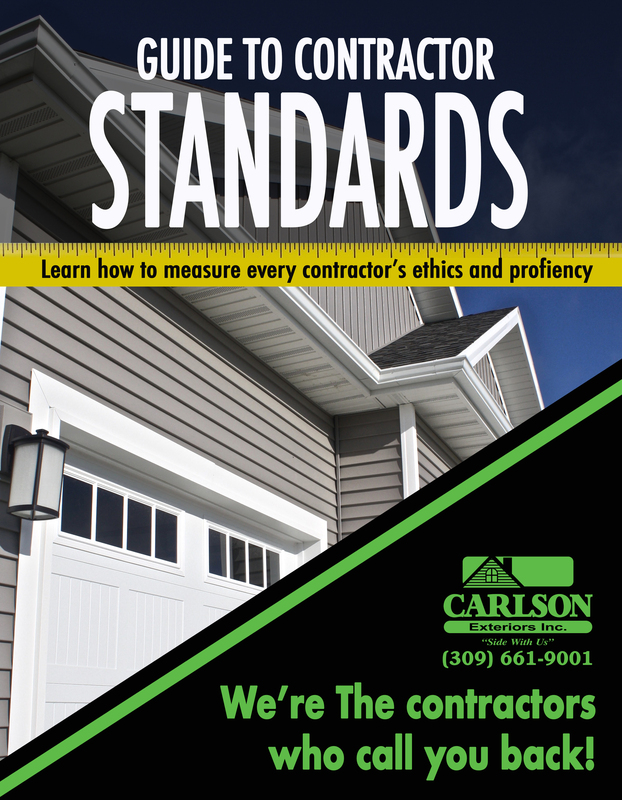 Check out our earlier blog series on Comparing Hard Board Siding by click here to learn about them. 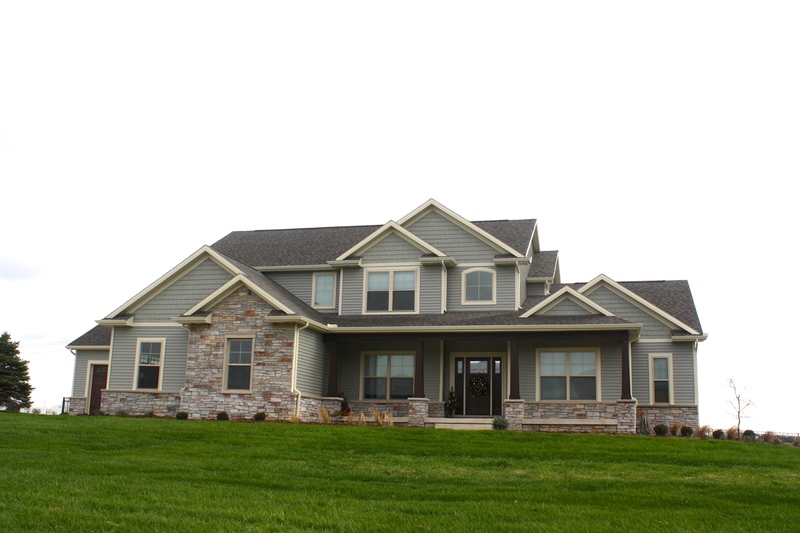 If hard board siding breaks the budget, consider a variegated vinyl siding panel. Mastic Quest siding has six colors that resemble cedar. The Gualazzi’s thought it was a good choice for them after deciding their current cedar siding was not working for them. Check out that amazing decision by clicking here. There are a couple of companies out there that make a wood shake roofing product that’s made of a polymer blend. Two top these companies are DaVinci Roofscapes and Inspire Roofing Products. While these products will be close to the same price point as real wooden shakes, there is absolutely no maintenance with a polymer blend shake. These shakes may look slick but are easy to walk on (so you can hang Christmas lights!). They are considered “self-healing” shakes, which means if they get scuffed or scratched the sun will heat up the polymer and erase the scratch. Want to talk more about one of these? Interested in a wood-look product not mentioned? Give Carlson Exteriors a shout. When replacing your roof, it’s very easy to get caught up in shingle color and brand. Before you rush into that, make sure your contractor is not skimping on the underlayment. Not all underlayment is created equal. Not all contractors install underlayment in the same locations. Carlson Exteriors uses Winterguard, CertainTeed’s brand of ice and water barrier. Per city code this barrier is placed at all valleys and at the eaves. However, there are locations this barrier should be applied that are not required by city code. These locations are all roof penetrations (such as vents or furnace flues), around chimneys, skylights, and anywhere a roof line meets a siding wall. These joining areas are first susceptible to leaks if your home is not sealed correctly by using a ice and water barrier. Many manufacturers require these additional areas to have an ice and water barrier applied to qualify for the roof or shingle warranty. Make sure your contractor is not using a 15lb or 30lb felt. This used to be contractor’s only option but the roofing industry has evolved into synthetic felts. The old felt would tear easily and gave no traction to installers. 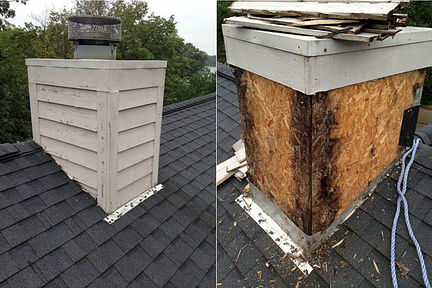 If your home has the old felt under your shingles, if any shingles would blow off your flimsy felt would be left exposed. If exposed for too long, it will rip leaving your OSB to fend for itself. Synthetic felt eliminates this problem. Synthetic felt is extremely durable and resistant to ripping or tearing. Installers also prefer it when installing because it’s easier to work on. When you meet with a contractor, remember more than the shingles are working to protect your home from roof leaks or ice dams. The whole roofing system, combined together, protects your home.